A man made a huge life change to pursue his dream of getting close to wildlife — and he just got about as close as you can get. "A few years ago I was a corporate lawyer dreaming about being a wildlife cameraman and doing more for our fragile planet," Patrick Dykstra wrote on Facebook. And that's just what he was doing, out in the frigid sea near Norway, when he got the surprise of a lifetime. Dykstra was trying to film orca whales feeding on fish, when the water seemed to break open under him. 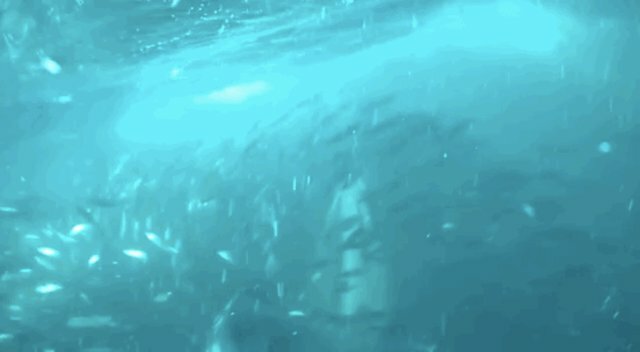 An enormous humpback whale, estimated to weigh about 15 tons, rushed up from the depths right toward Dykstra, who was filming the whole time — his shout of surprise can be heard in the footage. But something pretty amazing happened when the humpback got close to Dykstra. “The whale swerved to avoid hitting me," Dykstra said. 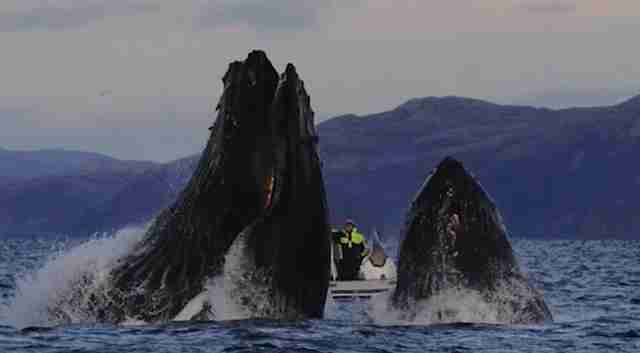 "It’s fascinating how something so big and moving so fast could avoid me ... They’re incredibly intelligent creatures." Dykstra added: “It was the greatest moment of my life." Some of Dykstra's work just appeared in "Blue Planet II," the BBC documentary airing this fall. 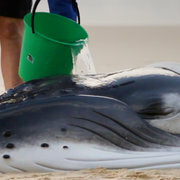 "Today my footage appeared in the biggest nature documentary in a generation about our oceans," Dykstra wrote on Monday. "Truly a dream come true." You can follow Dykstra's work on Facebook and YouTube.